Get a grip! These volume, non-slip tweezers offer premium quality ribbed handles and light-weight German stainless-steel for optimal comfort and grip -- perfect for beauty professionals. The 5.5-inch tweezers are available in three shapes to suit a myriad of needs. 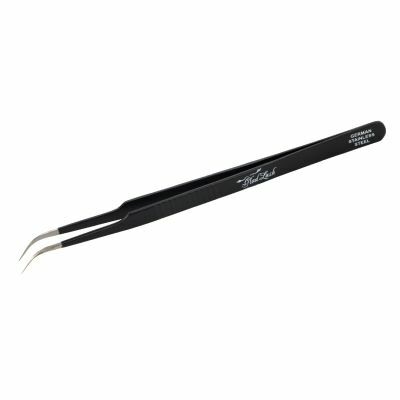 Whether you’re a classic or volume lash fan, the handle style is distinctively ribbed to provide a better holding surface for maximum control of the tweezer.